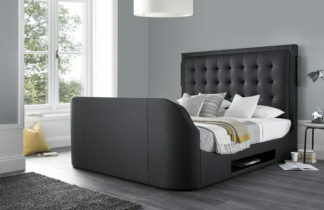 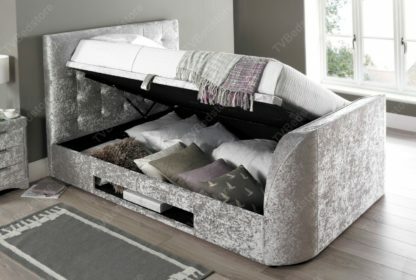 This fantastic ottoman storage TV bed comes manufactured with the latest lift-up system. The mattress base is easily lifted to uncover the floating storage area. 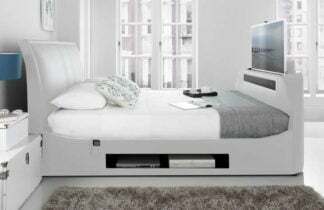 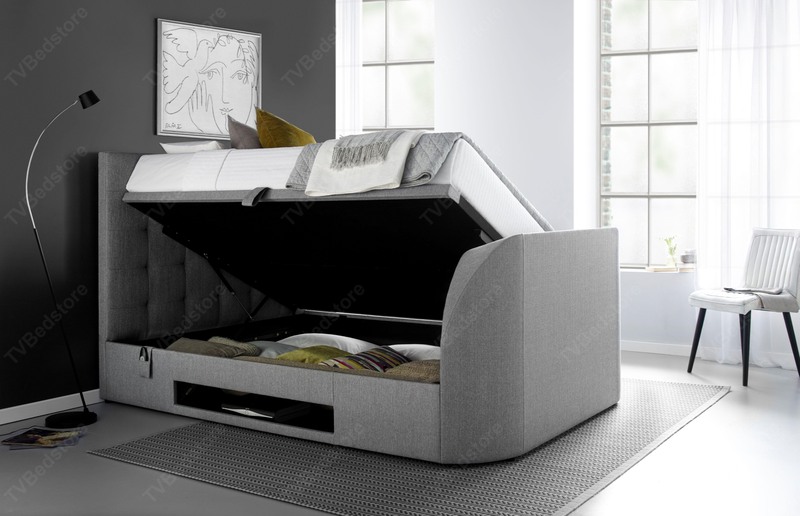 This added feature incorporates a superior strength 4 piece mdf floor,supported by a strong metal cross rail.The barnard has a platform style ventilated mattress base with the ability to support a mattress of up to 55 kg. It’s feature headboard,stunning looks and elegant finish makes the barnard ottoman TV bed the perfect all round space saver. 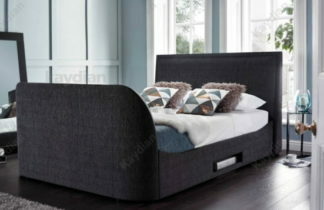 Super king size dimensions: Length 234cm,width 185cm,height 130cm. 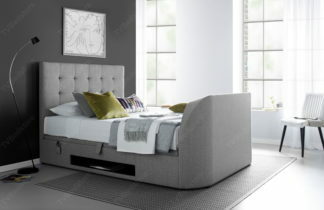 Foot end height 84cm. Leg height 2.5cm. 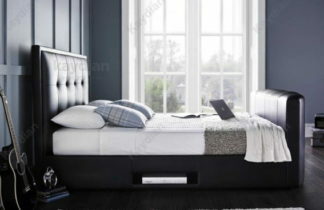 Bed is available in Double,king and super king size. 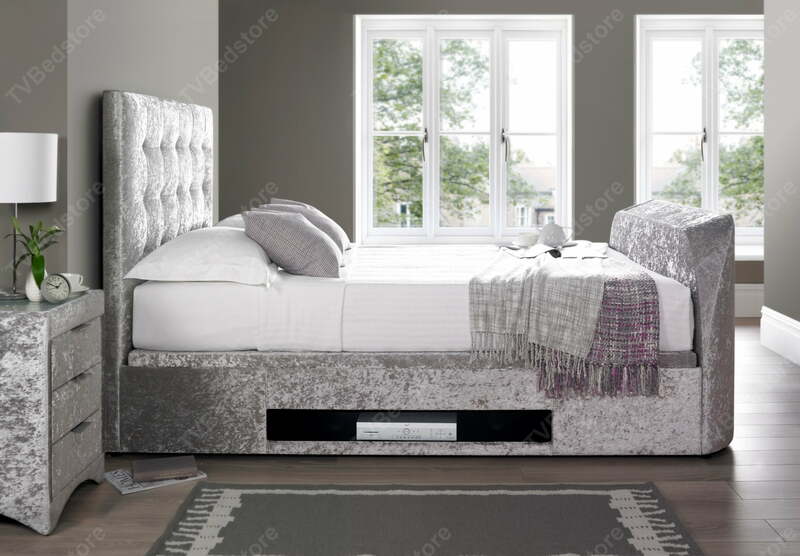 Available in crushed silver velvet and grey designer fabric.